The Lost River Range is covered in the book on pages 265 to 295. All Lost River Range peaks covered on this website can be found at this link: Lost River Range Updates. The Lost River Range stretches 70 miles from northwest to southeast between Challis and Arco. The Big Lost River Valley and Salmon River flank the range on the west, and the Little Lost and Pahsimeroi rivers are along its east side. 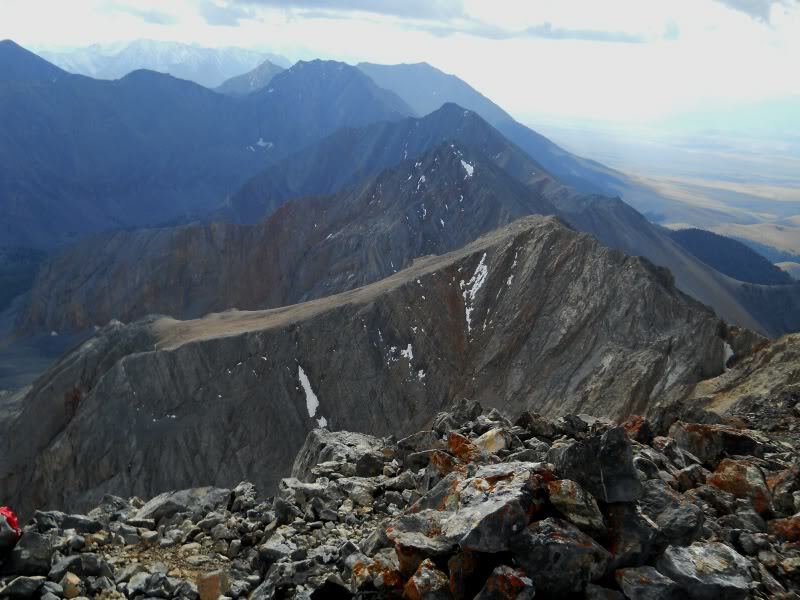 The range contains not only the highest point in Idaho, 12,662-foot Borah Peak, but also seven of the state’s nine 12ers, the 12,000-foot peaks. Eighty of the range’s peaks rise above 10,000 feet with 28 10ers, 45 11ers, and the 7 12ers. 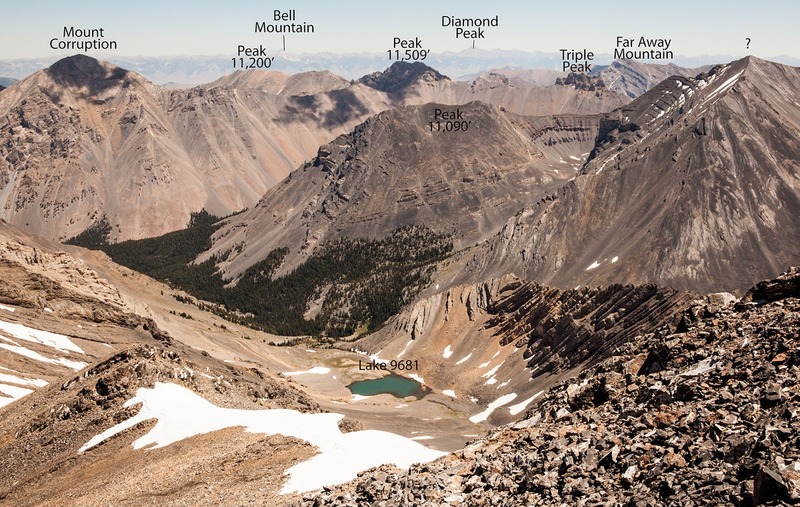 Beyond the higher summits the range contains many other peaks worthy of consideration. The Range is covered in the book from pages 265 to 295. 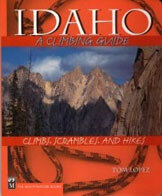 There have been relatively few accidents resulting in death in Idaho mountaineering in general. However, four climbers have died while in pursuit of the 12ers, all in the Lost River Range. Please take the time to review the reports we have of these unfortunate accidents, and the additional risks discussed, via the Be Careful button on right side of this page to prepare yourself for safe and enjoyable climbs in the Lost River Range. Idaho’s Lost River Range is an actively uplifting fault-block at the northern end of the Basin and Range province. Extensional faulting has lifted the range relative to the down-dropped Big Lost River basin on its west side, producing steep ridges and slopes essentially devoid of foothills. Interior and eastern regions of the range are deeply incised by the Pahsimeroi and Little Lost Rivers. Most of the range, particularly in the central and southern regions, consists of thick layers of Paleozoic limestone and dolomite. 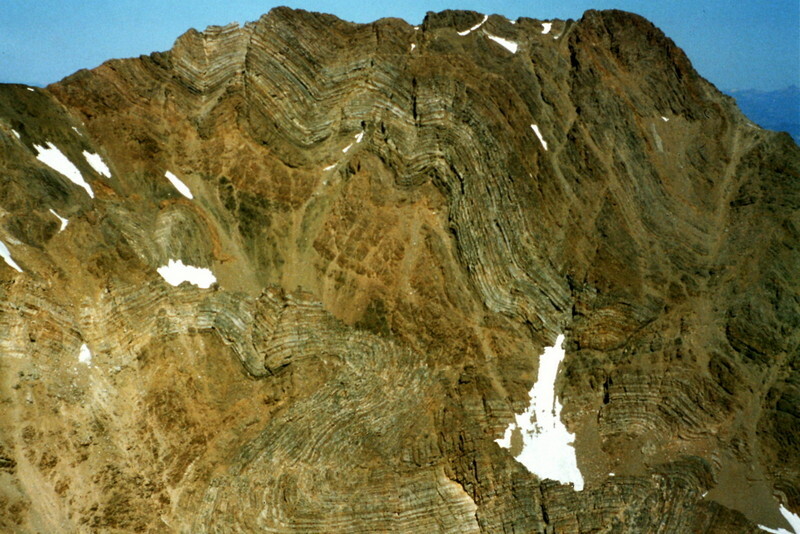 Multiple episodes of tectonic deformation have resulted in dramatic open to isoclinal folding at a scale of meters to kilometers. Glaciation has carved numerous cirques throughout the range and alpine lake basins are scattered in the central and eastern portions. These combined activities have created an impressive assortment of large, high angled faces with western, northern, and eastern aspects. 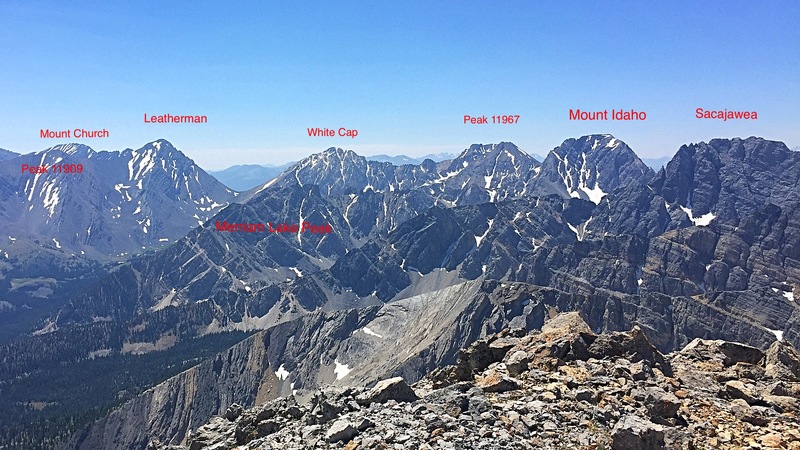 Check out Larry Prescott’s labeled photos from the summit of Leatherman Peak to identify many of the major peaks. 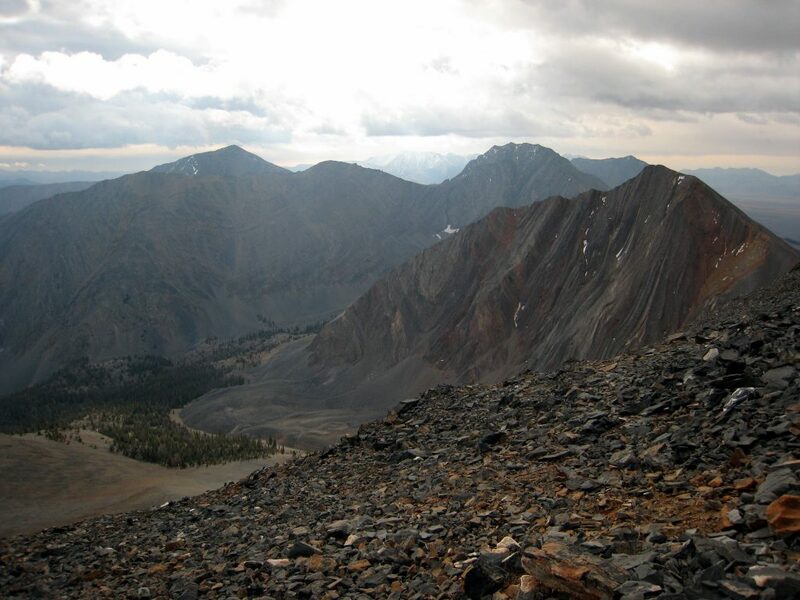 Enjoy Wes Collins’ 2014 account of his Borah to Lost River Peak, The Lost River Traverse. If you are interested in Ski Mountaineering in the range check out Cody Feuz’s Hi-Adventure website. If you like contorted rock, the Lost River Range is the place to visit. This contorted wall is on the side of Peak 11967. The main Lost River Range crest viewed from Mountaineers Peak. 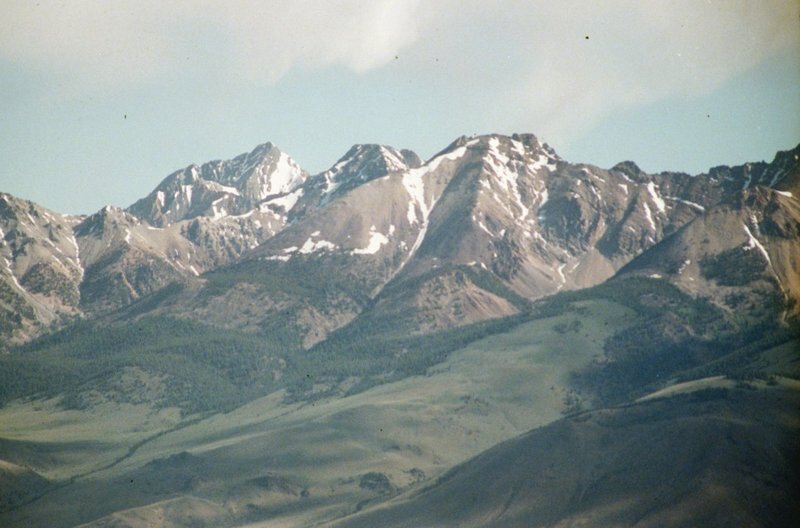 Borah, Sacajawea and Mount Morrison from the Burma Road high in the White Knob Mountains.